This first year came and went faster than I could have imagined. 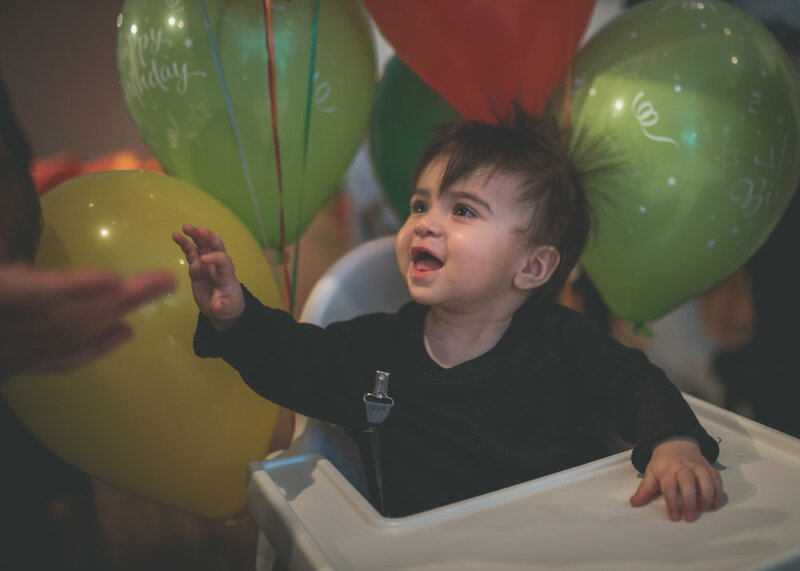 I wanted to throw Zane an extra special first birthday and could not have done it without some awesome companies and local suppliers that I had the pleasure of meeting. You can scroll to the very bottom of this post for a list of them all along with contact info, or read through my post and click on their names go to their website! 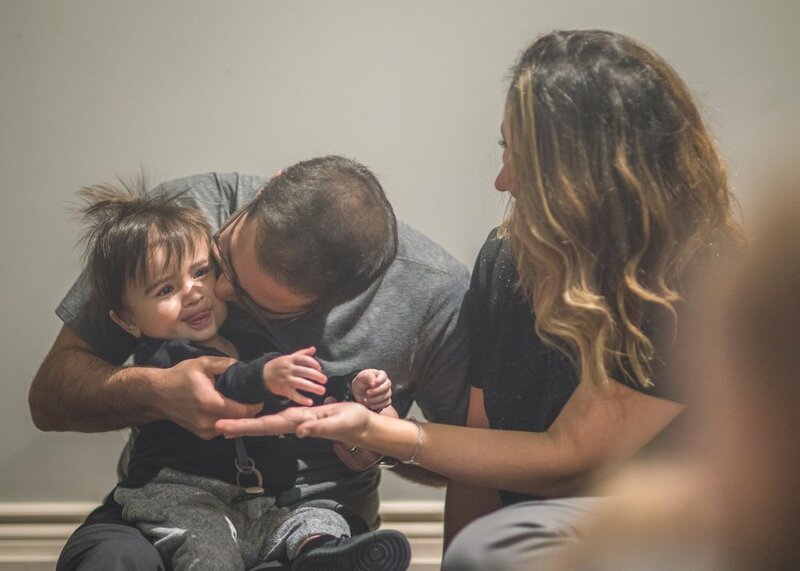 All the pictures below were taken by my fave Montreal Photographer Veronica, from VEMB Photography (the same photographer who did our Fall Photoshoot… she does maternity, pregnancy and family photography). I didn’t want to spend the whole party behind the lens of a camera but I wanted to make sure to capture every moment and memory. We often spend so much on parties and then look back and say: I wish I had a better pic of the cake, the set up, my son laughing... I wish we had a better family picture from the day. I didn’t want regrets so I chose to have the perfect person attend and capture every special moment. 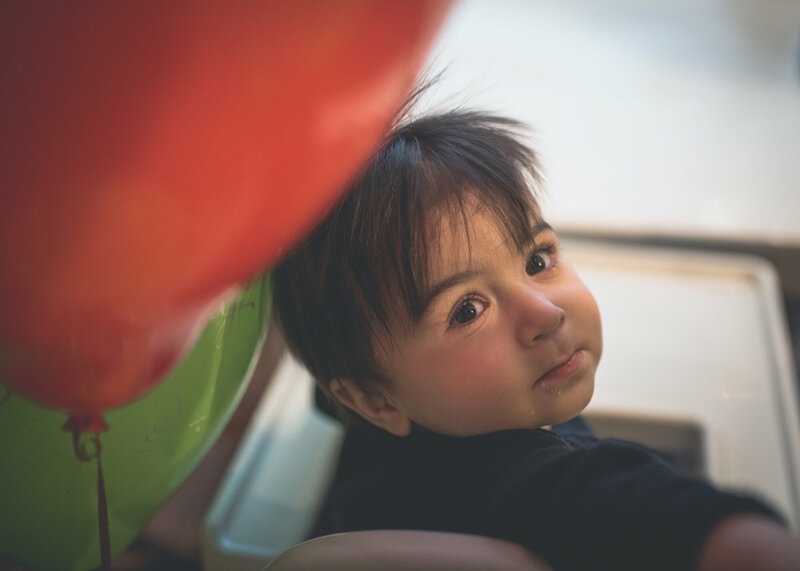 We had his party at Biscuits et Confetti – a charming coffee shop in NDG that caters to parents and kids. We rented out the whole space to have a more intimate birthday party, and they supplied super helpful staff (look how much set up we did in 15 mins! ), we rented a bouncy castle from them and we we able to offer our guests an unlimited open coffee bar made fresh to order by the shop (with screaming kids you need alllll the coffee you can get). To add an extra special touch to the party we ordered a custom banner and loot bag tags from Streamers Party Supply. Julia (the owner and designer) is SO helpful and was able to make us EXACTLY what we wanted. All we needed to do was tell her our theme and colours and within a week we had our proof to approve! Her Etsy shop doesn't even begin to feature everything she can make. She can do invitations, thank you cards, loot bag tags, banners, photo booth props, head bands (and list goes on and on)… and her prices are SO reasonable. I wish I would have known about her for my baby shower and wedding shower! The loot bag tags went on our super special loot bags! 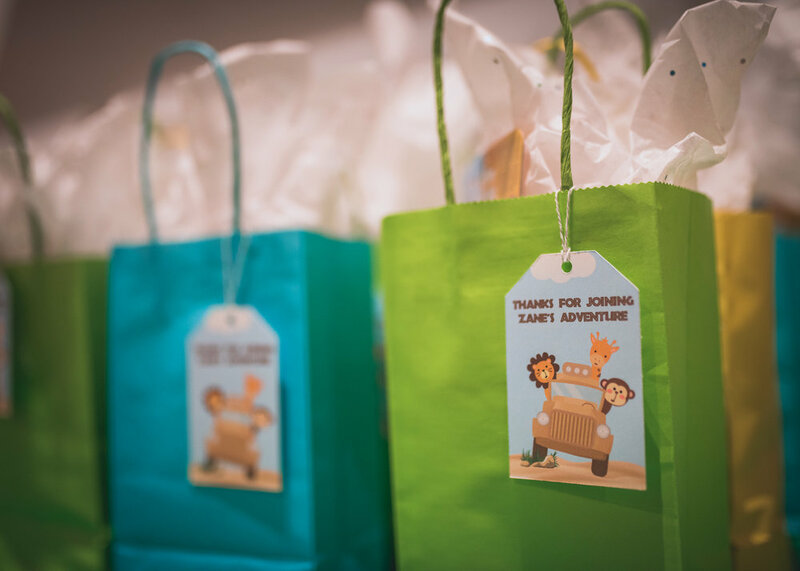 We chose Nuby gifts from Elfe.com for each age group (and for the next 2 weeks you can get 15% off all regular priced items on their website using the code ZANE15*). For the youngest children under 9 months, we gave the 3-Step Teether Set BY Nûby™. Teething is no fun so with the bright colors and fun textures this was a gift that would please baby and parents alike. For the children around Zane’s age, we gifted them a Snack Keeper™ BY Nûby™ along with spoons. The bowls are perfect for his age group, are colourful, lightweight and prevent spills because of the awesome lid that allows them to grab treats without the mess! I also added in some Puffies and Puffies snacks from Baby Gourmet so that they could start using their bowl right away! 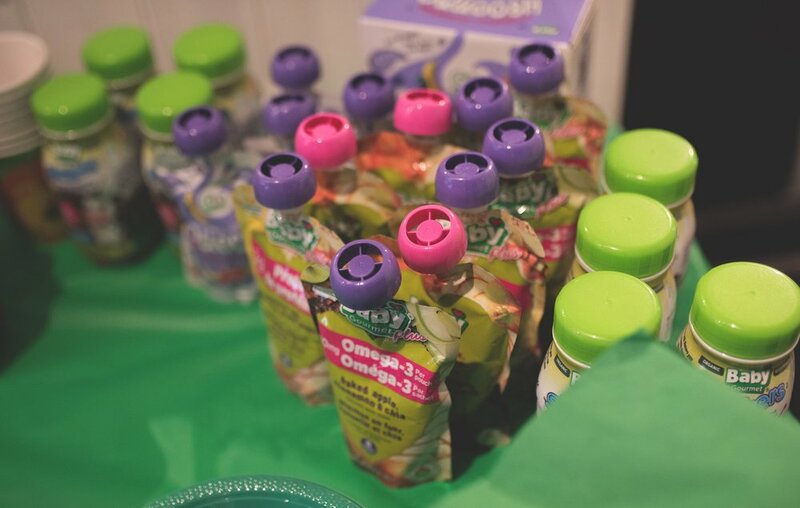 For the older children, we gifted them the Snack N' Sip™ 9 oz BY Nûby™ with a candy filled bag! This genius cup has a straw and drink compartment at the bottom and a compartment at the top for snacks so children can eat and drink at the same time with 1 container! (* Use code ZANE15 for 15% off Elfe.com until 2018-03-23. Valid on regular priced items only. Certain restrictions apply (Nuna excluded)). We went with a jungle and animal theme since Zane LOVES monkeys. We ordered most of our jungle themed party supplies from Open A Party. They’re based in Canada (so no duties), their prices were SIGNIFICANTLY cheaper than Amazon, and everything was delivered with standard shipping in 1 week! Everything we ordered was exactly as described and they have such an awesome selection. We had burgers and fries catered by Notre Boeuf de Grace – if you haven’t tried them yet, you are missing out! 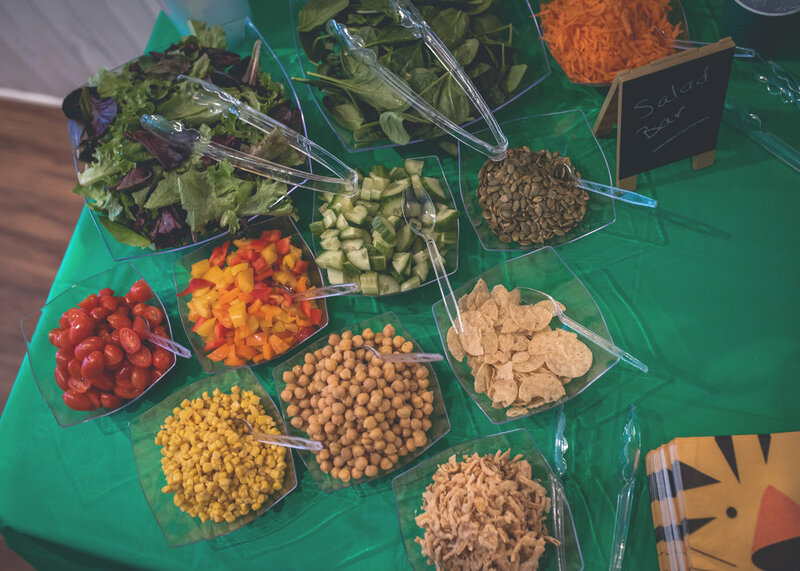 We had a salad bar as well for the healthier guests, pizza for the kids from Bardeco (DELISH!) and a Kiddie Corner filled with Delicious treats from Baby Gourmet. I wanted to make sure the minis that were around Zane’s age didn't miss out on the delicious treats! We offered an assortment of Purée pouches, Shakers and Puffies. The sweet table had a candy bar for the older kids and the parents (mostly for me LOL) and cupcakes. I had a tray with rubber ducky jungle animals and asked people to adopt an animal (how cute!?). The star of the table though was our cake from Sisterly Sweets. OMG THEIR CAKES. I’m not even exaggerating here… this sister duo is on fire. Their creations are PERFECT and you’re not sacrificing beauty for taste. Their cakes are as delicious as they are beautiful. Gloria and Tania were a pleasure to deal with, were open to inspiration pics, but I chose to give them carte blanche and told them to do what they do best and I was blown away. We went for a chocolate cake with a vanilla light cream icing and hazelnut crunch. Heaven is where this cake brought me. 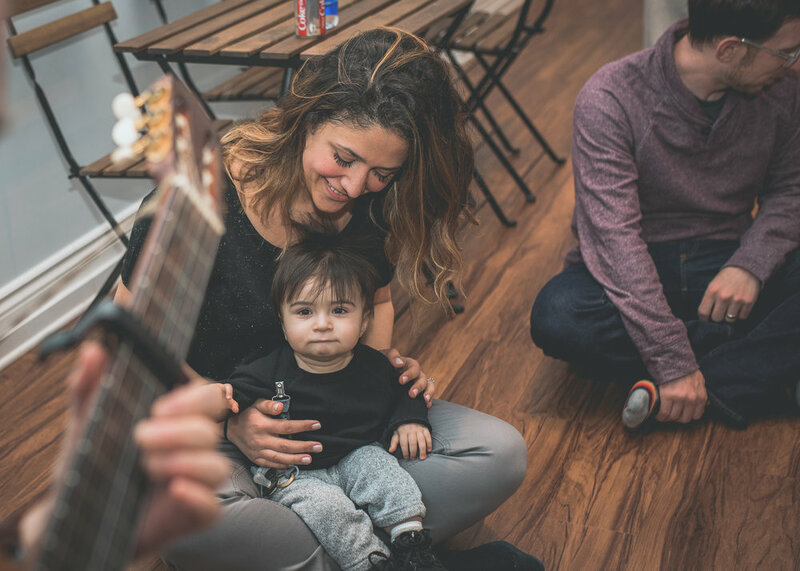 For entertainment, besides the bouncy castle that was huge hit, we hired a children’s musician, Loony Lorny, that came in and sang some of Zane’s fave songs. 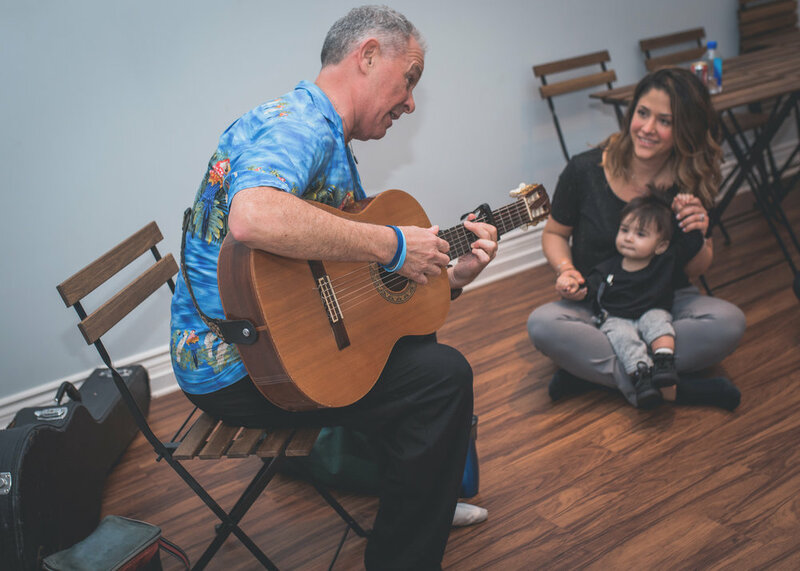 He came equipped with a bunch of little musical instruments for the kids to play along with and it was perfect entertainment for all the kids! 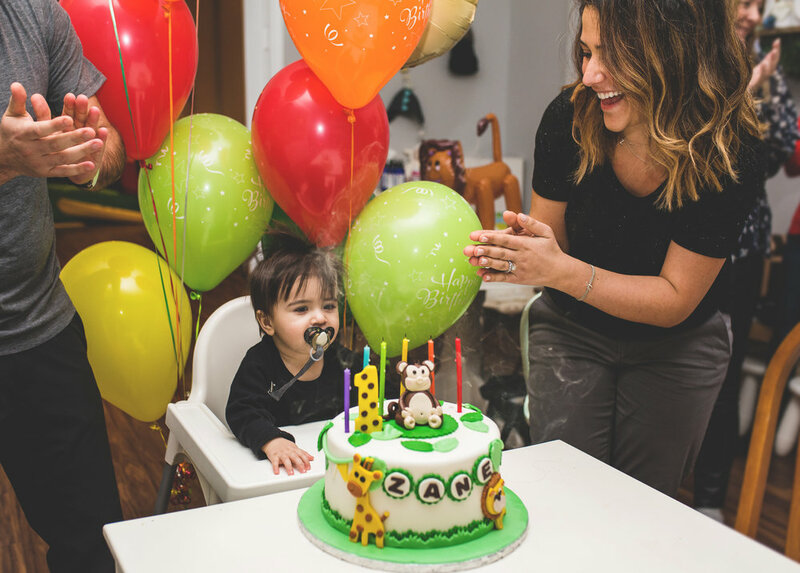 Zane’s First Birthday was as much fun planning as it was attending. I can’t wait for Birthday #2! I’m so grateful for the suppliers that I met and I am certain that I will be using the same ones for every party we plan going forward. Below is the full list with direct links to their websites! And that's a wrap! 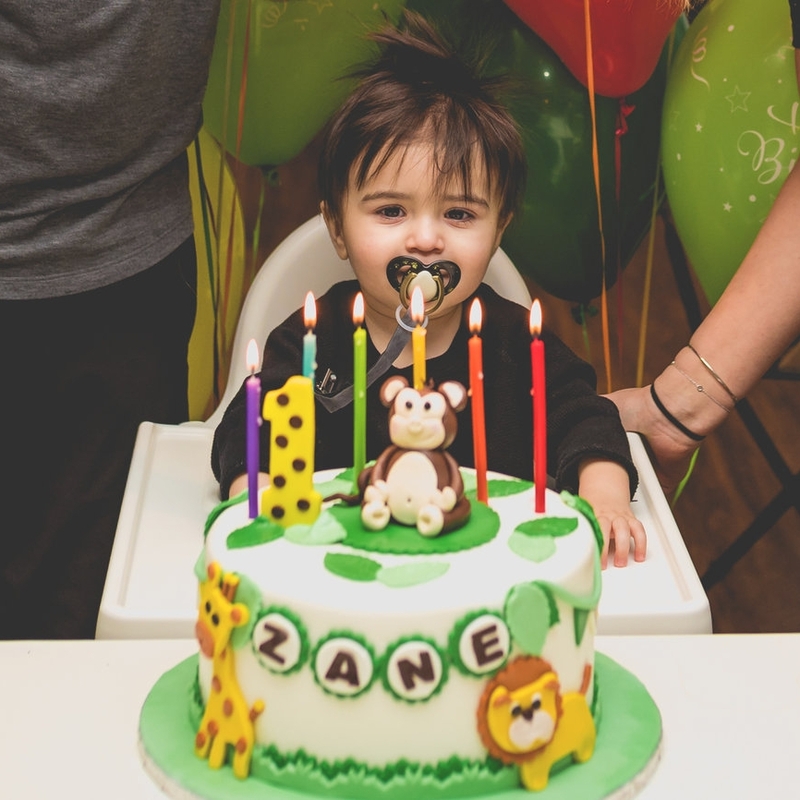 Zane's birthday was a hit and after a much needed sleep I'll be ready to start planning Birthday #2 :). *Until 2018-03-23 use ZANE15 for 15% off site wide at Elfe.com . Valid on regular priced items only. Certain restrictions apply (Nuna excluded).